The Institute of Sacred Music announces the phased retirement of Bryan Spinks, professor of liturgical studies and pastoral theology, beginning now and to be completed at the end of the 2021–2022 academic year. As part of this phased retirement, Prof. Spinks will have a reduced teaching load. Bryan Spinks’ career at Yale has gone from strength to strength. He was already one of the world’s leading and broadest-ranging scholars in liturgical studies when he arrived at Yale in 1997; since then his publications have continued to increase. In addition to just over a dozen books authored alone, he has coauthored, edited, or contributed to at least double that number. Add to this canon his many journal articles and it becomes clear that Bryan Spinks is one of the most published liturgical scholars in the world today. Not only is his sheer output impressive, but the scope of his work is extraordinary, ranging from the earliest Christian liturgies to Baptismal and Eucharistic liturgies to multiple volumes on English reformation liturgies to books on the contemporary issues of the liturgical reform movement and new liturgical movements. Spinks was also instrumental in forming the ISM’s triennial international conference on liturgical studies, which has examined such issues as Christology and pneumatology in worship, liturgy in migration, the historiography of worship, and worship and ecology. Each of these has resulted in an edited volume of essays with Liturgical Press, some edited by or with Prof. Teresa Berger as well. 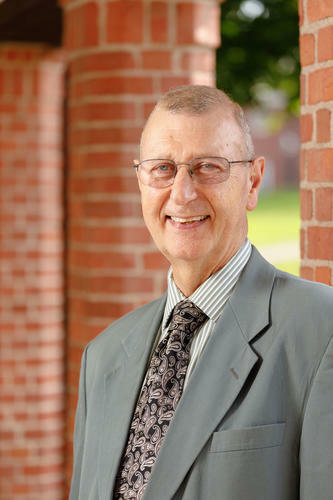 He has been a beloved teacher, shepherding generations of students (with his colleagues) through both introductory courses in Christian worship, Anglican Prayer books, and a host of other courses just as wide-ranging as his research. A festschrift in Bryan’s honor, The Serious Business of Worship, edited by Melanie Ross and Simon Jones, was published in 2010. The ISM congratulates Bryan Spinks on his fruitful career and wishes him the best as he transitions to the next chapter of his life.